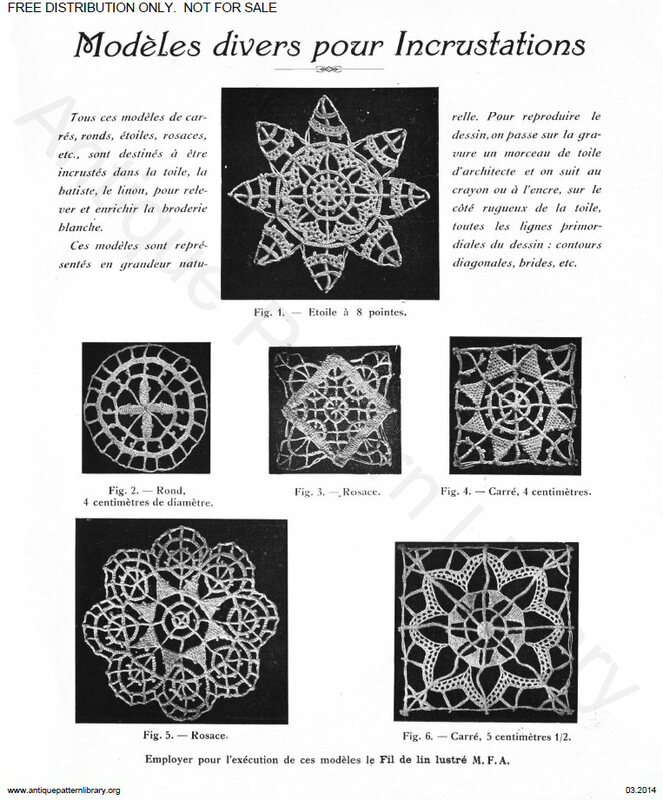 French language instruction on Point de Venise needle lace. Well liustrated with lots of how-to diagrams, and examples showing how basic units can be combined to make complex designs. Includes suggestions for use as insertions in white cutwork pieces.